The Dark Knight, Black Panther, The Justice League, The Avengers. Heroes come in all shapes and sizes. They do not always wear a cape or a mask, but, instead, dedicate their time to making a difference. By advertising for helpful products and services, marketers aim to improve the lives of their target consumers. Marketers, in one way or another, are heroes. 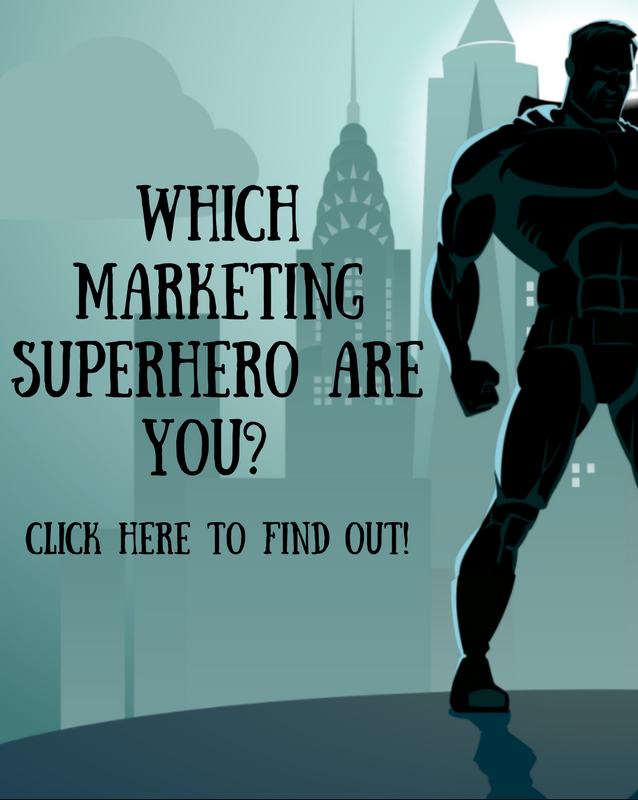 What are some of super powers these marketing heroes possess? The ability to listen and understand is a power all marketers must possess. Nothing of value can be produced without the ability to hear the needs and wants of the consumer. If there is no consumer, there is no business. Optimize this power of listening by being empathetic. The marketing industry, technology, and consumer preferences are constantly changing. Marketers must act quickly to adapt to certain trends, social media platforms, and technology like artificial intelligence and virtual reality. Optimize this power by adapting a willingness to accept a change in direction. Keep up with changes in technology and update process systems regularly. The sorcerer possesses the ability to create magic out of thin air. Their creative campaigns attract consumer interest, increasing engagement and following. Optimize this power by making the unthinkable choice, encouraging innovation and inspiring creative thought. Information is available everywhere but only this hero knows how to make it useful. X-ray evaluates the consumer and determines WHO they are. Optimize this power by using tools like Google Analytics and Lucky Orange to track the consumer’s engagement with the company. Segment the audience based on their interests and target specific groups with personalized messaging. The telepathic marketer already knows what the consumer wants today based on previous data, but can predict their behavior in the future. Before the consumer even states what they want, the telepathic marketer has a campaign and product perfectly designed for the target market. Optimize this power by learning everything about the current state of the consumer’s behavior and mind. Become an expert at predictive marketing. The Gadget Goer is specifically handy with the “web,” but can tackle any new gadget thrown their way. They are masters at work-arounds and skillfully back-up the team with the most up-to-date tech to make them look good. Optimize this power by investing in new tools such as the ones we feature in the Marketers Toolbox. Become proficient at available tech like mobile and embrace the digital world. One decision, careless campaign can jeopardize the reputation of a brand. The healer specializes in public relations - managing crisis and rebuilding a tarnished brands’ reputation. Optimize this power by having a clear understanding of the brand’s voice and values when launching marketing campaigns. Be aware of the necessary steps needed in case re-branding is in the cards. To become an invincible marketer, a marketer must possess or have a team possess all of these powers. AgencySparks works with a number of agencies who have some, if not all, of these super powers.